Fall 2013 Review: Agents of S.H.I.E.L.D. Agents of S.H.I.E.L.D. (pause to mention how absolutely obnoxious it is to have to type out S.H.I.E.L.D. every time) is Marvel’s first foray into television since the success of the Marvel Cinematic Universe which started with Ironman and culminated in 2012’s supermegamonster smash The Avengers. The Avengers was written and directed by Joss Whedon, who has been up to then known best as the cult television writer behind Buffy the Vampire Slayer and Firefly. The show is set after the events of The Avengers, where basically (The Avengers SPOILERS to come) huge swaths of New York were destroyed by giant aliens. The upshot from that event, known as The Battle of New York, is that everyone in the public now knows about the weird and creepy and supernatural that the government had been able to keep from them before. People are confused and scared. S.H.I.E.L.D. is an agency which, as a character notes within the first ten minutes of the show, acts as a layer between the superheroes and super-villains and aliens and the general population, trying to keep the scary out of sight when they can and at least keep people out of harm’s way when they can’t. Agent Phil Coulson, who appeared in Iron Man 2, The Avengers, and Thor, is back from being seriously injured in The Avengers and he’s putting together a special hand-picked team of S.H.I.E.L.D. agents who will get to run pretty much whatever missions he deems advisable without facing the usual bureaucracy. We don’t know how he got this authority but it’s not all that important. He starts the episode by recruiting an antisocial combat expert named Grant Ward and then convincing pilot Melinda May, who is implied to be some sort of legend, to be part of the team with the promise that she’ll avoid active duty. They join the already recruited science duo of Leo Fitz, an engineer, and Jemma Simmons, a chemist, both British, who seem to love to squabble with one another about scientific gibberish. In the first episode, our squad tracks the case of a man who was caught on camera saving a woman from a burning building and showed signs of super strength. The show follows him and we find out he’s a factory worker who was laid off due to injury and that he’s struggling to survive and feed his kid. In his time of hardship, he agreed to join an experimental program, called Centipede, in which he gets a device that hooks into his arm and gives him this super strength. Unfortunately, it also makes him crazy, as he uses his strength to push around his old boss who won’t give him another shot. It will also, we learn, eventually make him explode. The Agents of S.H.I.E.L.D. are tasked with stopping him without killing him and they have the help of a rebel hacker named Skye who initially sees the agents as bad guys until Coulson convinces her that they really are trying to help people after all. The show is largely procedural, and though I’’m sure there will be some serial elements, it looks like it’s largely going to start on a one case-per-week basis. At its heart, Agents of S.H.I.E.L.D. is about the team. Group dynamics are at the heart of what Joss Whedon does best, which is why he was the perfect director to helm The Avengers (and why he wouldn’t have made nearly as much sense for any of the individual hero films). Whedon manages the intricacies and interplay of a group better than anyone and it is what drives his shows and what drives Agents of S.H.I.E.L.D. The major villains on Buffy were often the weakest part of the show, as it was how the group worked together to deal with them that was so compelling. We don’t get enough of the group working together and verbally sparring in this episode, partly due to all the necessary set up, but I can see the pieces coming together. Agents of S.H.I.E.L.D. is not as daring or new or revelatory as I would hope from a new premium cable show, but that’s not what this is. Joss Whedon doesn’t generally traffic in the completely novel. What Whedon shines at is making standard genre shows that are a cut above. He turns obvious types into complicated characters that grow and change over time. He takes the level of dialogue writing most procedurals employ and puts so much more care into each sentence and phrase, imbuing it with a signature witty style. 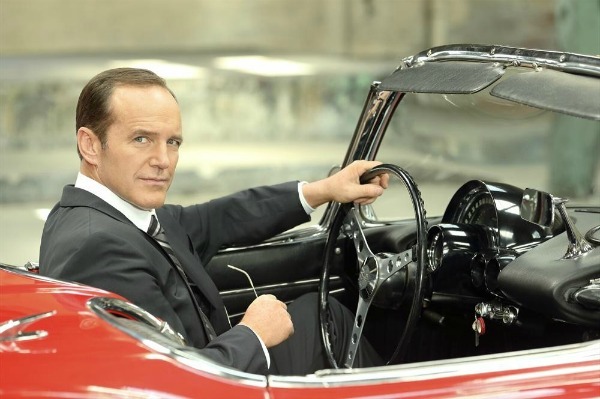 This playful Whedon-esque tone (yes, I’m using the creator’s name as an adjective; he’s earned it) keeps what could easily be seen as occasionally corny or cheesy dialogue from sounding clunky and overwrought (it is vaguely cheesy; at one critical point, Coulson dramatically tells the scientists ” Don’t ever tell me there’s no way ” when they say they can’t stop the factory worker from exploding). Another specialty of Whedon’s is his brilliant balance of the dramatic and the comedic. He marries the serious and the silly better than anyone which keeps the episode fun and unstuffy. Simply put, Whedon’s style makes what could easily be a color-by-numbers procedural vastly more interesting. There’s the powers and superhero angle, and that’s great and provides a lot of material to work with, but it’s the quirky dialogue and character building that separate Whedon stories from their peers. Will I watch it again? Yes. I’m a devotee to Whedon and all things Whedon-esque (though I shamefully still have not seen Dollhouse) so this kind of had me at hello. It was pretty much exactly what I was expecting, and while that doesn’t make the most interesting or captivating show on television, it’s still a good thing.